Wendy Botha "2009 Woman of the Year"
A prolific South African surfer, Wendy won four world titles (1987, 1989, 1991 & 1992) and three Surfer Poll Awards (1990, 1991 & 1993). Born in 1963, Botha began surfing at age 13 and won-four consecutive South African National Championship titles from 1981 to 1984. She turned pro in 1985 and finished the season ranked seventh in the world, earning rookie-of-the-year honors. 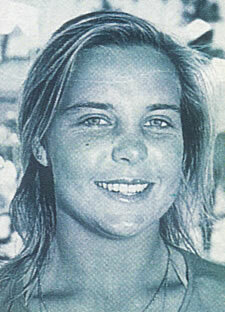 Wendy became an Australian citizen in 1989 and would go on to win a record seven World Tour events that year. She retired from competitive surfing after the 1993 season and moved to New Zealand.